The Dog occupies the eleventh position in the 12-year cycle of Chinese zodiac. 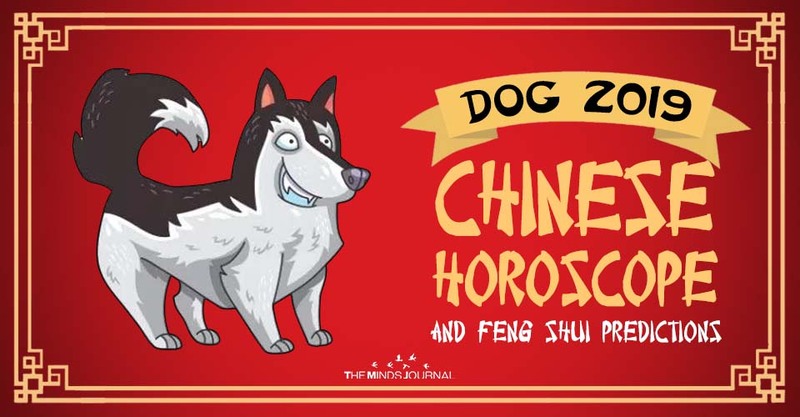 You are a “Dog chinese zodiac animal” if you are born in one of these years: 1934, 1946, 1958, 1970, 1982, 1994, 2006, 2018. The following are the twelve zodiac signs: Rat, Ox, Tiger, Rabbit, Dragon, Snake, Horse, Sheep, Monkey, Rooster, Dog, Pig. The Dog’s Chinese Horoscope for 2019 presages a year full of energy, a year when the Dog natives will get involved in many different activities. The Year of the Pig 2019 is a very important year for those born under the Dog sign. They have special opportunities to progress, to change their plans for the future, and to trace new directions, both in their personal and professional life. Wood Dog 1934, 1994 2019 can bring you interesting winning opportunities ! Fire Dog 1946, 2006 In 2019 you will have energy and authority ! Metal Dog 1970 You will work more efficient and you earn more money ! Earth Dog 1958, 2018 2019 is a period of life in which love stories of charm can come ! Water Dog 1982 In 2019 do something for your personal development ! It is very important to plan everything with great care and not to overlook the projects that you know are profitable, paying attention to others that may fail. There is a major risk of losing money and becoming indebted in 2019. Your tendency of spending money on expensive things that you don’t really need doesn’t help either, nor the tendency of playing with money by making financial speculation or by betting at the casino. Towards the end of 2019, your finances are as stable as possible, Even if the natives are not the most rational shoppers and they often run out money, those born under the Dog sign often have some savings set aside for rainy days. Throughout the year, you tend to function more efficiently as part of a team than individually. However, in the chinese year 2019, you don’t really care about the appreciation of others, as much as how to find the best ways to achieve the best results. In fact, all throughout the year, the only thing that you care to waste your energy on is to ensure that the outcome of your actions is positive. Professionally, there are going to be plenty of opportunities that will keep occurring during next year. The predictions are extremely optimistic, provided that you remain involved and act every time you have a chance. Don’t let your actions go unnoticed. It may be difficult to put yourself in a favorable light, but there won’t be a better year for such an attitude as the upcoming year. The improvement of the work perspectives of the Dog natives in the Earth Pig Year of 2019 will lead to an increase in their income. In 2019, the financial situation of the Dog natives is going to be encouraging. With the additional money that will enter their household, many Dog natives will decide to buy things that they’ve been thinking about for a long time, very important for the Dog. But the Dog natives also need to save some money, and if they can, to set aside some for the upcoming vacation. Health-wise, the 2019 Chinese horoscope for the Dog natives warns about the importance of rest. If you don’t make any excesses – and it’s not in your nature to do so – you will encounter no issues in term of immunity. A chronical affection might bother you again, but nothing severe. Work is the only thing you might do in excess. Therefore, when you need to stop, stop! Get involved in physical activities, spend time outdoors and recover your strength on a weekly basis. This way, everything is going to be perfect. The owl is a Feng Shui symbol of wisdom, knowledge, which helps to eliminate ignorance. It is used for learning and for developing the skills needed professionally. The Feng Shui masters claim that the owl has the gift to create an energy of wealth, attracting a feeling of safety and inner comfort. Therefore, the owl is a special symbol of wealth. It is placed in the career or in the children’s sector. It is recommended to place such a figurine in your office, if your work is intense and if you have great responsibilities. For children, it must be placed on the study desk! A Feng Shui owl can be a special gift for scientists, students or for managers of big companies born under the Dog zodiac sign. The Dog natives are addicted to freedom and loyal in love, but they are fearful. In 2019, they might find their soul mates in the person of a Tiger or Horse native. A Dog-Tiger couple can have a lasting marriage. A relationship that should be avoided with no regrets is the one with the Dragon. A Dog-Rabbit couple has all the chances of enjoying a harmonious life. Also, in 2019, the Dog and the Horse are two compatible Chine zodiac signs that can have a wonderful relationship together. The Dog-Monkey relationship is durable because they complement each other very well. The relationship between two Dog natives is strong because they are both gentle, devoted, and understanding. In the Pig Year of 2019-2020, the Dog natives will also find satisfaction in their strictly personal affairs. The family life of the Dog is favorable this year. Throughout the year, they will encourage and support everyone around them. As far as social life is concerned, it can be said that most Dog natives will prefer less activity. They will enjoy meeting their few friends, but they will avoid major gatherings. However, there might be Dog natives who prefer a more active social life. The Earth Pig Year will definitely offer them the chance to have fun and, if they wish, to make new friends. One thing should be stressed: regardless of their options, it is suggested that in the Pig Year of 2019-2020, the Dog natives should always keep in mind that they have few loyal friends, worthy of all their trust, to whom they can turn for help in case of any problems. The Feng Shui remedy for the Dog natives: a pair of Feng Shui swans, made out of golden resin with special attention to details. The Feng Shui swans symbolize grace, beauty, purity, love, and delight.Place a pair of Feng Shui swans in a well-lit area with a good Chi, to share its positive characteristics with everyone around. Also, this lovely pair of Feng Shui swans can be a unique and beautiful gift for different occasions. An efficient remedy for the Dog natives is the “Immortality Peach”. It is a powerful Feng Shui remedy, which brings health and longevity. Place a painting with peach trees in the living rooms or a peach tree made of jade, so you and family can benefit from health.